As a 2017-18 postdoctoral fellow in Penn’s Center for the Study of Contemporary China, Wendy Leutert traveled to Penn Wharton China Center (PWCC) this June to work closely with Chinese experts and uncover new findings. 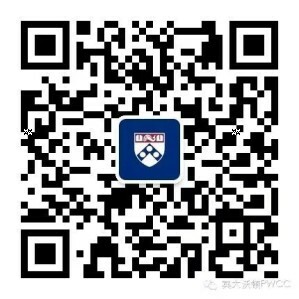 PWCC remains a growing international research hub that builds on Penn’s ongoing mission of partnership with China in research and education. Wendy spent a month at the Center in Beijing, researching Chinese political economy, specifically the reform and globalization of China’s state-owned enterprises. Wendy’s research examines the global expansion of Chinese state-owned companies and the political mobility of their leaders. With assistance from Penn experts, she investigated each state-owned enterprise case, formulating background research on company history, development, and relevant industry policies. 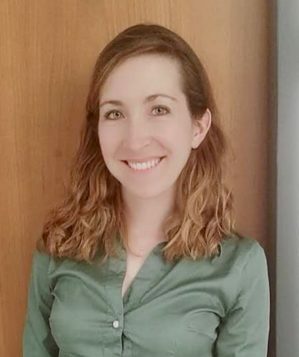 “My time at PWCC enriched the research that I had conducted during my post-doc at Penn’s Center for the Study of Contemporary China by enabling me to incorporate new information and on-the-ground insights from Chinese experts,” Wendy said. Upon arriving in China, Dr. Gary Hua, Managing Director of PWCC, warmly welcomed Wendy and familiarized her with the Center’s facilities and China’s Central Business District. “Dr. Hua assisted me in connecting with relevant people and resources on Chinese state-owned enterprises in a range of industries — from aerospace to railways to maritime shipping,” she said. Like many travels, the journey often begins before leaving home. To better prepare for her stay in China’s capital, Wendy started gathering materials and information surrounding her fieldwork while still in Philadelphia. Prof. John Zhang, PWCC Director Murrel J. Ades Professor and Professor of Marketing at The Wharton School, and Zoe Qiao, Senior Associate Director of PWCC, and Amy Gadsden, Executive Director for Penn Global, assisted Wendy in organizing a research plan for her time in China. During her Penn fellowship for the CSCC, Wendy worked on revising her dissertation into a book manuscript and developing additional projects based on her discoveries in Beijing. Wendy’s first exposure to the bustling Chinese capital was working with an international crisis group in Beijing. Her work has been supported by the U.S. Department of Education through the Fulbright-Hays Doctoral Dissertation Research Abroad and the Foreign Language and Area Studies Fellowship Programs, the Brookings-Tsinghua U.S. Exchange Fellowship Program funded by the Ford Foundation, the Smith Richardson Foundation, the Chinese Scholarship Council, and the Cornell East Asia Program among others. While in Beijing, Wendy had the opportunity to attend a seminar on the Institutions And Economic Performance Of China at PWCC on June 25–26. Hosted by Fang Hanming, Professor of Economics at Penn’s School of Arts and Sciences, the seminar featured 27 scholars from the US and China who exchanged their research and academic findings. Wendy is no stranger to studying on two continents — she has spent time learning and teaching in the US and China for much of her academic career. Before receiving her PhD in government from Cornell University in 2017, Wendy was a visiting researcher at Peking University from 2013 to 2016 and at the Brookings Institution and the Brookings-Tsinghua Center for Public Policy from 2014 to 2015. She also holds an MA in government from Cornell University and an MA in international relations from Tsinghua University. After completing her fellowship at Penn, Wendy’s next position is an An Wang Postdoctoral Fellow at the Fairbank Center for Chinese Studies, Harvard University, and a Postdoctoral Fellow at the Columbia-Harvard China and the World Program at the School of International and Public Affairs, Columbia University.